As a general contracting firm, South Coast Inc. can provide pretty much any service your home may need from simple repairs all the way up to complete renovations, additions and everything in-between. 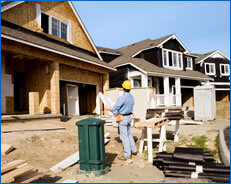 Click photo to view samples of South Coast Inc.'s Residential Projects. South Coast Inc. provides comprehensive construction project solutions from the pre-design phase through construction and facility occupancy. We form partnerships based on mutual respect and close communication with our clients. 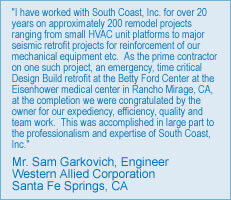 Click photo to view samples of South Coast Inc.'s Commerial Projects.